Leki was extremely excited to see us when we arrived home last night. And this morning was no better. 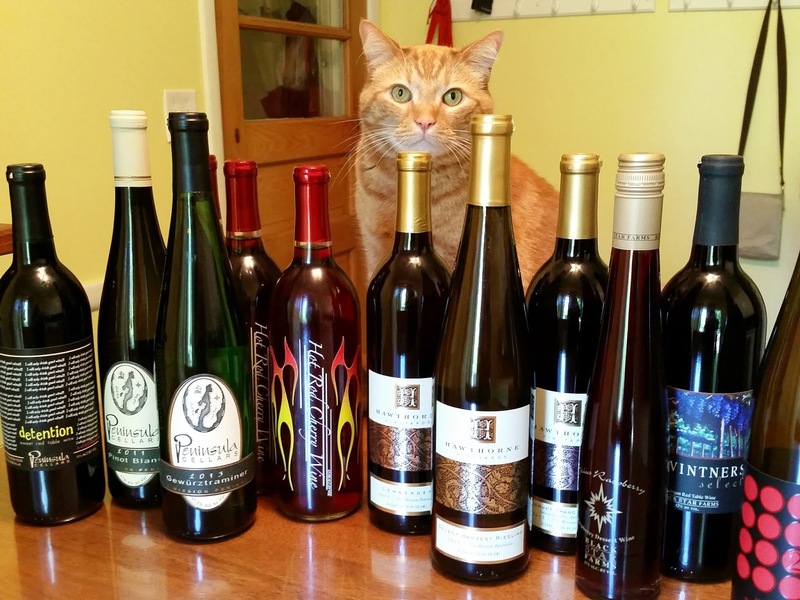 When I pulled out all of the wine I'd bought (a case in all, across 5 different wineries), he wouldn't leave anything alone. The day was pretty relaxing. Lots of hanging out, reading, and some grilling. 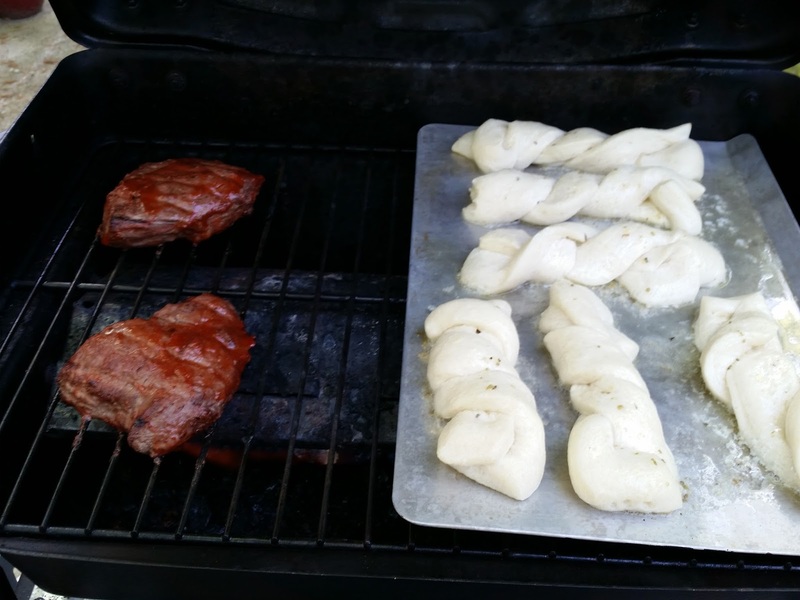 I tried cooking some Pillsbury dough on the grill, and it came out alright. It's nice being able to do that and avoid turning on the oven in this weather.